A bottleneck which most structural engineers face when designing buildings in earthquake-prone areas is the vagueness of just how earthquake-proof, the prospective structure should be; this is because earthquakes vary in magnitude and causes, ranging from deep openings in the earth’s surface to severe disturbances across a fault line. 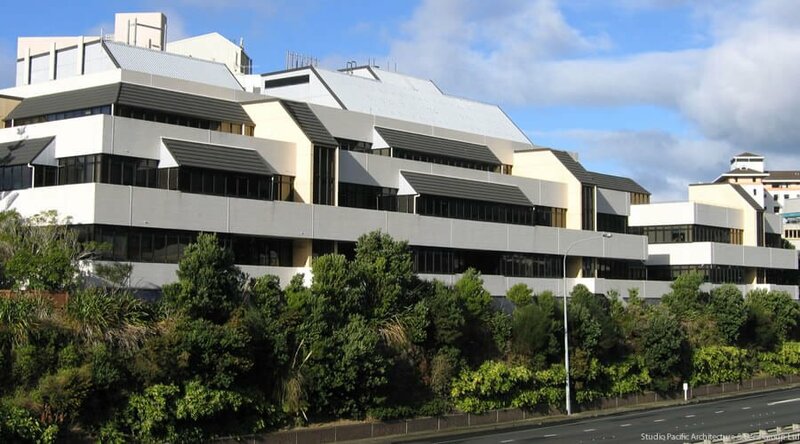 Nevertheless, it is possible to include the features of the earthquake-proof building during construction in a bid to give the structure a better chance if, in fact, an earthquake does affect the area where the structure may be located. In layman terms, giving the structure a better chance at survival. An earthquake refers to the trembling of the earth’s surface due to seismic waves which are usually the resultant effect of a sudden release of energy in the earth’s lithosphere. Earthquakes may be frail, such that they are not felt on the surface hence the absence of violent tremors testing the structural integrity of buildings around. The land and seabed are made up of light rocks floating in the soft center of the earth which is comprised of heavier molten rocks and iron. These light rocks occur in lumps, separated by faults and trenches or pressed together into mountains. Because of their nature of occurrence they can be moved by convection forces in the heavy molten core, alongside gravitational and centrifugal force from the sun/moon as well as earth’s rotation. Combined, these forces cause the plates to move, especially in the mid-ocean trenches where molten materials push up the plates till, they are part, while others bump head-on into each other forming mountains like the Himalayas of Asia. Others slide over one another like the west coast of the Americas, where the land plates are sliding over the denser ocean bed plates, or like in San Francisco where the tectonic plates are moving side-by-side past each other, sticking together while at a fault line, often in combination with bumping or sliding under or over. These movements are what give rise to earthquakes. What makes buildings collapse during earthquakes? Earthquakes are disturbances in the ground which can occur as single, sudden movements or a series of shock waves. In most cases, structures around the vicinity affected may fail to hold their weight in the face of higher magnitude earthquakes due to structural constraints. The difference in earthquakes lies in the magnitude of disturbances which affect the foundations of the side structures. Most earthquakes occur from side to side, unlike floods and snowstorms which affect buildings vertically. This explains why most “supposedly solid” buildings would collapse during an earthquake. This is because an earthquake-proof building design wasn’t taken into cognizance during the construction process. In most multi-story buildings, the floors and roofs rest solely on the walls, held there by their own weight; and if there is any structural framing, it is too often inadequate. This inadequacy can result in a floor or roof falling off its support. Most times more weight is added to a building or structure at a high level, which may cause the bonding of the small steel bars which bind the main reinforcement together with the concrete to weaken, resulting in the outer concrete crumbling, making the main reinforcing bars bend outwards away from the column and causing the building to lose its structural strength. This simply means that structures that are not able to withstand side to side loads will certainly fall in the event of an earthquake, the main disadvantage of such a default is the fact that this structural weakness can only be discovered when an earthquake hits, and by then, there isn’t much that can be done about it. 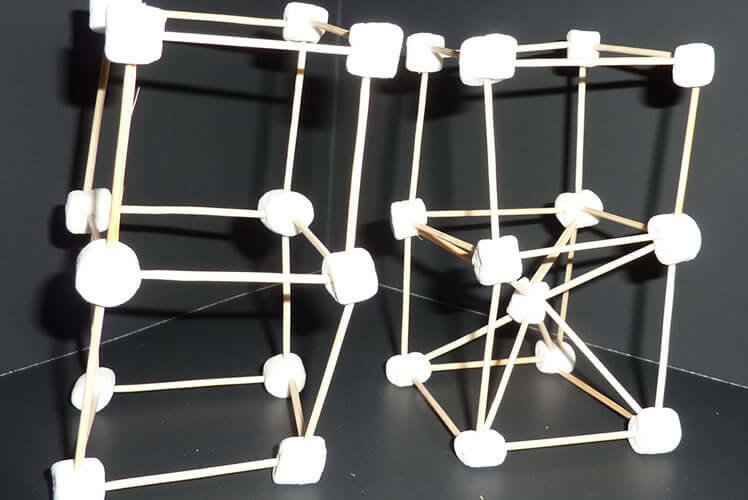 How can we construct earthquake resistant buildings? Thanks to modern technology and the application of earthquake engineering, it is now possible to Earthquake-proof building in such a way that their structures and foundations are able to resist the side to side load that may lead to their collapse during an earthquake. Here are a few things your structural engineer should take into consideration. When designing earthquake-resistant buildings, structural engineers recommend adequate vertical and lateral stiffness and strength especially laterally. Most buildings handle the vertical disturbances caused by quakes better than the lateral, or horizontal, movement. it is therefore of utmost importance that these buildings are constructed such that when earthquakes introduce new directional forces, the structures will be able to absorb the energy efficiently. Regularity in structural terms refers to the movement of the said structure when moved in lateral directions. 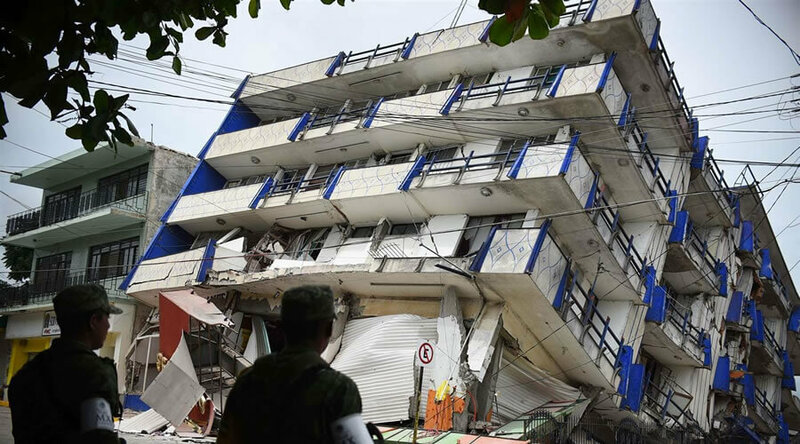 Safety professionals and structural engineers should ensure that buildings move equally, to enable seamless dissipation of energy from the quake without placing too much force on one side or another. If a building is irregular, the weaknesses will become quite evident when the building sways. A stable foundation is of utmost importance when building a large structure regardless of the earthquake risk associated with the said structure. This is largely due to the role of a structure’s foundation in its long-term survival. 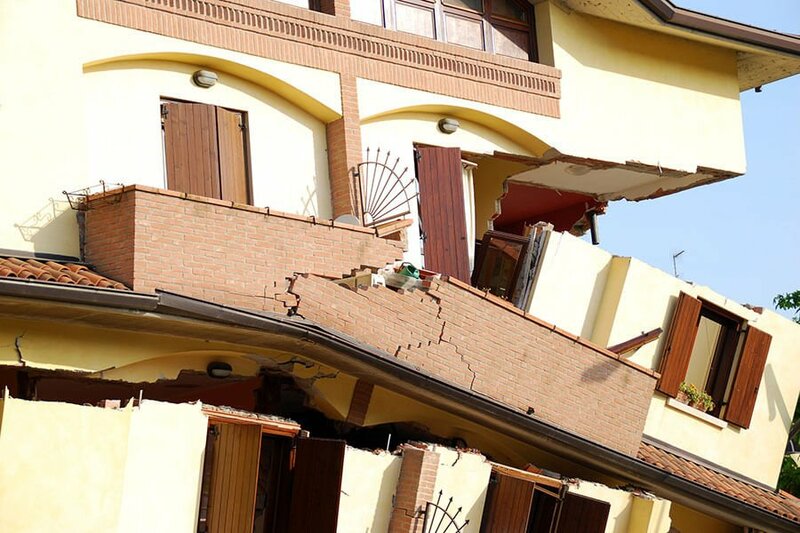 A stronger foundation is more likely to deal with earthquakes a lot better. Different areas have unique foundational requirements that define how a structure’s base needs to be reinforced. Buildings designed to withstand violent earthquakes have deep foundations and driven piles, so to stabilize these rigorous forces. Structural engineers must ensure that the foundations are connected so they move as a unit. 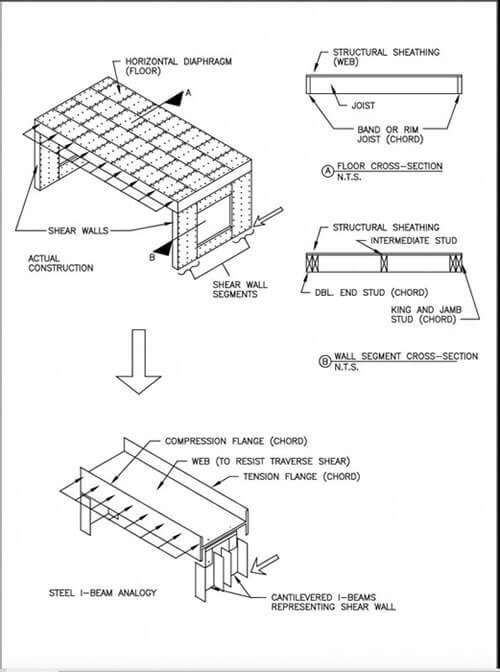 For the vertical structural system of a building which consists of columns, beams and bracing which functions to transfer seismic forces to the ground, structural engineers should build walls using braced frames, as they rely on trusses in a bid to resist extreme sideways motion. Wall trusses should be built using cross-bracing, which uses two diagonal members in an X-shape, instead of braced frames. Or perhaps in addition to them, they can use shear walls, which are vertical walls that stiffen the structural frame of a building and help resist rocking forces. 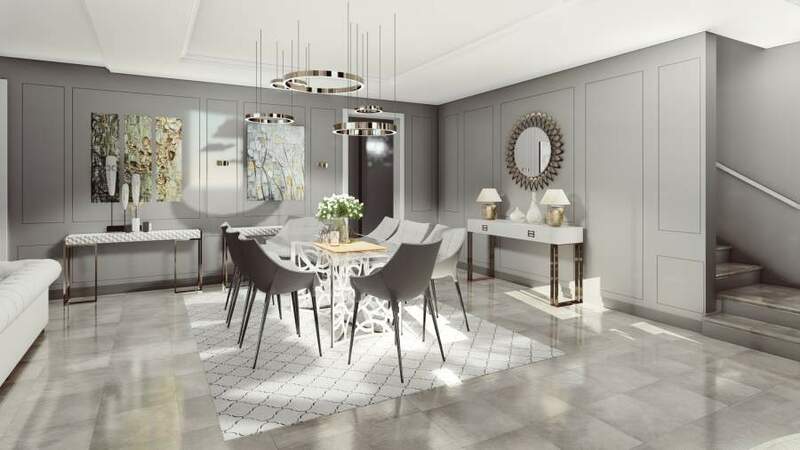 Despite their advantages, shear walls may limit the flexibility of the building design, in a bid to overcome this, structural engineers can make use of moment-resisting frames. In such buildings, the beams and columns are given the liberty to bend, hence the joints or connectors between these beams and columns are rigid. This causes the entire frame to move in response to a lateral force while providing an edifice that’s less obstructed internally than shear-wall structures. For the foundation base of the structure, isolation should be employed, this involves the floating of a building above its foundation on a system of bearings, springs or padded cylinders. 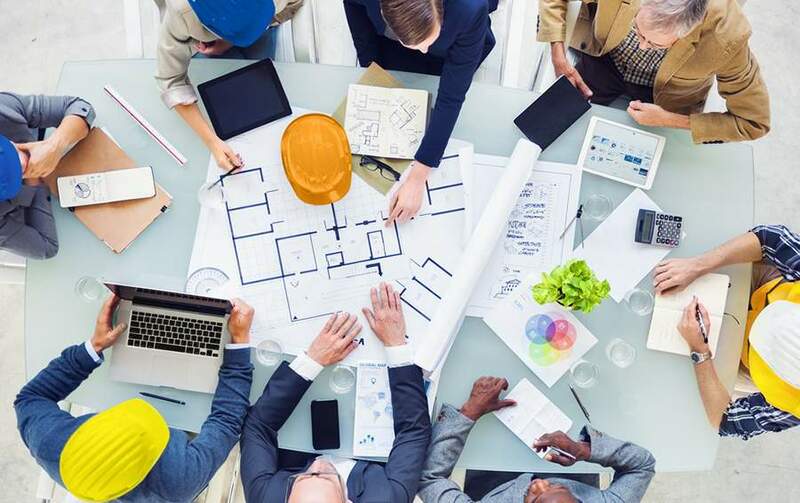 Structural engineers can use a variety of bearing pad designs, though the lead-rubber bearings, which contain a solid lead core wrapped in alternating layers of rubber and steel are commonly used. The lead core ensures that the bearing is rigid and robust in the vertical direction, while rubber and steel bands keep the bearing flexible in the horizontal direction. 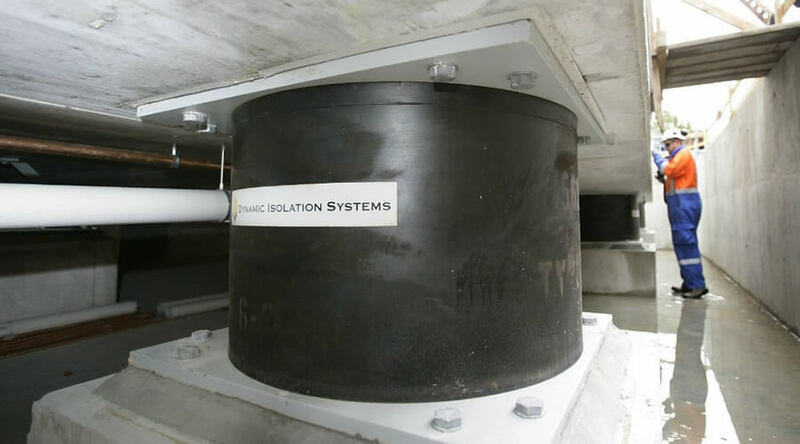 These bearings are attached to the building and foundation using steel plates giving room for foundational movement when an earthquake hits, allowing the foundation to move without moving the structure above it. It is very useful for Pre-Engineer students. Thank you. You should take part in a contest for one of the most useful sites online. I’m going to recommend this web site!